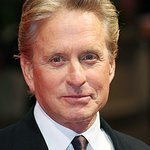 The 11th Annual Michael Douglas & Friends Celebrity Golf Tournament (MD&F) will be broadcast on Saturday, July 7th, 2012 on the Golf Channel from 4 P.M. – 6 P.M. (EST) / 1 P.M. – 3 P.M. (PST). Color commentary provided by sports personality Terry Gannon and celebrity interviews and insights by Mary Hart. The celebrity tournament, co-hosted by Oscar-winners Michael Douglas and Morgan Freeman, features three teams of celebrity golfers with captains Mr. Douglas, Mr. Freeman and Kyle Maclachlan, with Brian Baumgartner, Benjamin Bratt, Alice Cooper, Tony Dovolani, Dennis Haysbert, Damian Lewis, Tico Torres, Jack Wagner and Mark Wahlberg, and celebrity coaches Hank Haney, Jim McLean and Annika Sorenstam. MD&F was played at the One&Only Ocean Club Golf Course at the Atlantis, Paradise Island, Bahamas. The telecast takes viewers inside the charity weekend and includes coverage of the 9-hole competition, tips from celebrity coaches, and the JCPenney putting challenge, as well as footage from exciting weekend events including a live auction hosted by award-winning actress Sharon Stone. Co-hosting the MD&F Tournament with Michael Douglas this year was Morgan Freeman who played on behalf of Plan!t Now (P!N), the disaster preparedness non-profit. Proceeds from the televised golf tournament equally benefited P!N and the Motion Picture & Television Fund (MPTF), the leading Hollywood charity providing health, financial and social services to the entertainment community. The golfers played on the Tom Weiskopf-designed 18-hole championship course – Ocean Club Golf Course – a picturesque 72-par layout featuring breathtaking views from signature holes and seaside greens and tees stretched over 7,100 yards of coastline.